Sport Fishing Boats for serious sport fisherman! 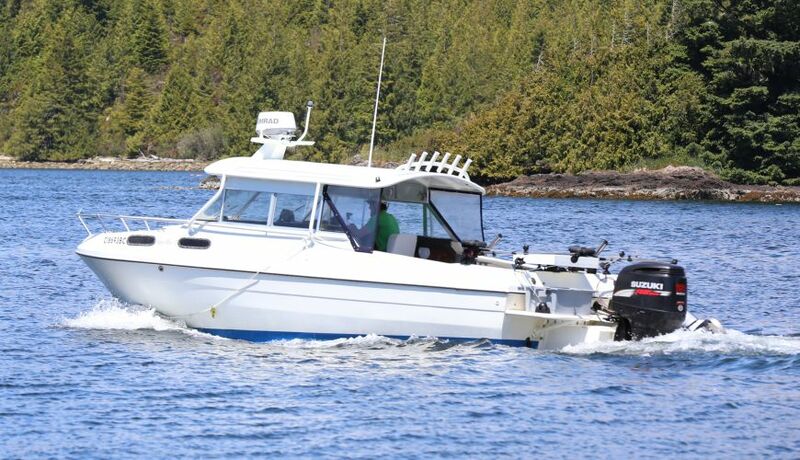 Our boats were picked after much searching the best sport fishing boats in North America. It was important to us to have boats that had large back decks as well as large cabins all on one floor. In our searching we found that the overall length of the boat didn’t matter as much as the square footage of combined cabin and deck space. It is rare to find boats with these two attributes together which is something you will notice on the top sport fishing boats worldwide. You can have the comforts of protection from sun and rain while being right there in the middle of the reel screaming action! All of our boats are equipped with Toilets, Radar, GPS, electric Scotty Downriggers and some of the best rods and reels including Islanders, Avets and Shimanos. We have all the safety equipment according to Transport Canada standards. 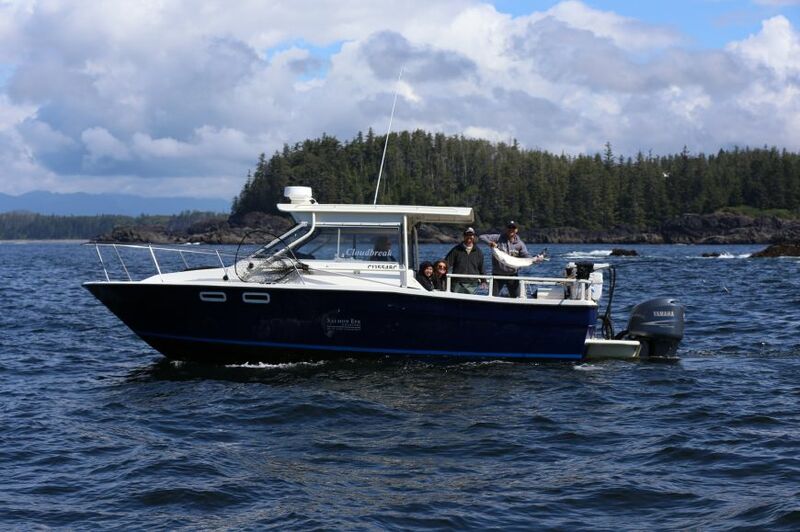 Our boats have nice high sides so that you can lean your waist against the side while playing fish leaving a safe feeling while fighting your large salmon and halibut! We have seen too many breakdowns by even brand new inboard motors and we have seen that outboards are consistently more reliable. This doesn’t mean that 4 stroke outboards never have any issues, but consistently over time they outperform and need less maintenance. 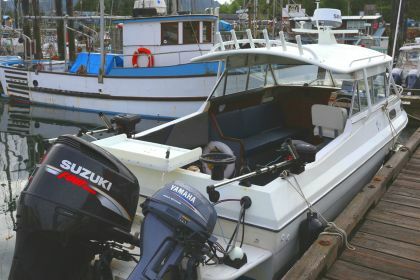 If shopping for a boat you will continually notice that boats with outboard motors will command a much higher price and that it is much easier to sell the same boat with outboards for a higher price than the same boat with inboards for a lower price. If you are going with an inboard, make sure there is an auxiliary motor should something happen while out on the water. 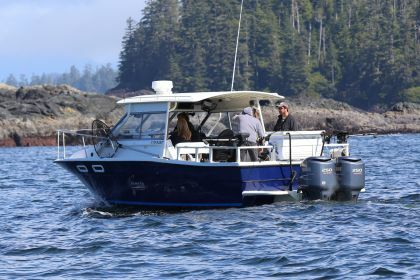 Pictured here is our favorite all-round sport fishing boat on the west coast! It can seat up to 5 people in the cabin as well as being close to the back deck. It seems to be one of a kind and there were very few boats like this ever made! It originally had an inboard motor and was converted at a large cost to re-enforce the transom to add outboard motors. Outboards are consistently more reliable and you will spend more time on the water fishing instead of at the dock or coming in on auxiliary motors. We also added waist high rails and a large cooler and a cleaning station in the rear. We plumbed it to make fish holds to handle the large amount of salmon and halibut caught while having fresh saltwater coming through the fish-wells so the salmon and halibut are bled properly after catching. The cabin is heated for any cool mornings or cooler days on the water. We just had a new top put on and this boat also has autopilot. 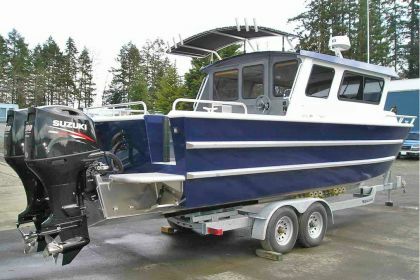 This 29ft Trophy with twin 250 Yamaha outboards is perfect for larger groups of true sport fisherman! 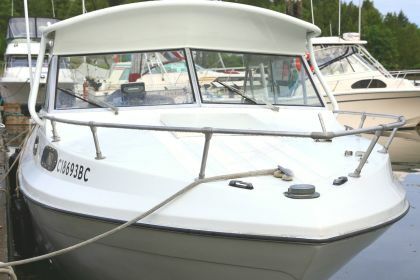 These boats also have a large deck space as well as a large cabin for protection against the elements. We had been looking at these boats for a few years and we just completed 2 of them during the 2018 season. These boats have almost the same amount of deck and cabin space as the Trophy and will you love the high cabin ceiling creating the open feeling while still being covered. This boat has a large fish hold to bleed fish after being caught. There is a heater inside the cabin to keep you warm and toasty. This boat is one of the best combinations of room, stability, cover and deck space. The Apollo has a large cabin and deck seating up to 5 people easily. These boats were originally in-boards and once converted had plenty of room to move around. 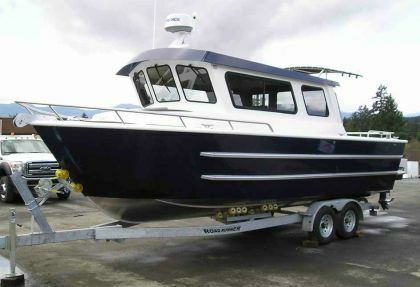 This boat fishes Ucluelet in the summer and Victoria during winter months. Our guide Scott will show you a good time of nice sized salmon &halibut. with a 300 Suzuki 4-stroke, and a 9.9 Yamaha 4-stroke. This boat is guided by Dan and he is relentless in getting you the big one. 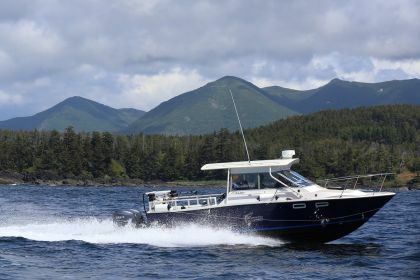 This boat has a heated cabin 4 seats and is set up well for the west coast with everything you need for a successful trip.